As Virginia cruises through its short legislative session, two bike-relevant bills under consideration need your support. 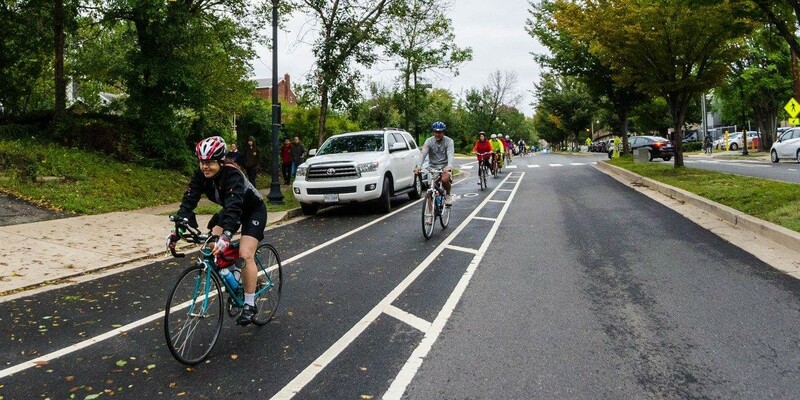 Northern Virginia is a powerhouse and a leader on bicycle issues, but county and city governments don’t have control over all of the aspects of the NoVa bike network, so some changes have to happen at the state level. It only takes a minute to send a letter to your representatives, and it makes a big difference when they hear from you. SB 117: Dooring— This bill makes opening a vehicle door into the path of an oncoming bicycle a traffic infraction punishable by a fine of up to $50. As too many of us know, dooring can cause severe injury to bicyclists. Currently, there is no penalty in VA for passengers and drivers who put cyclists at risk in this manner. The lack of a ticketable infraction makes it harder for the victim of dooring to recover damages from insurance companies for his/her injuries. The creation of this traffic infraction would change that. SB 669: Converting traffic lanes to bicycle lanes will not reduce highway maintenance funds— This bill would remove a disincentive for cities and towns to replace traffic lanes with bike lanes. Currently, highway maintenance funding is calculated based on the number of lane miles the city or town maintains. Under this bill, municipalities will not have their maintenance funding reduced if motor vehicle lane miles are converted to bicycle-only lanes. This is great for municipalities wishing to engage in traffic calming, road diets, and other street safety projects. Topics: Uncategorized. Tags: advocacy, dooring, funding, Virginia.